Welcome home to the gated community of Dove Canyon! 4 bedrooms, 3 bathrooms, and one large bonus room. 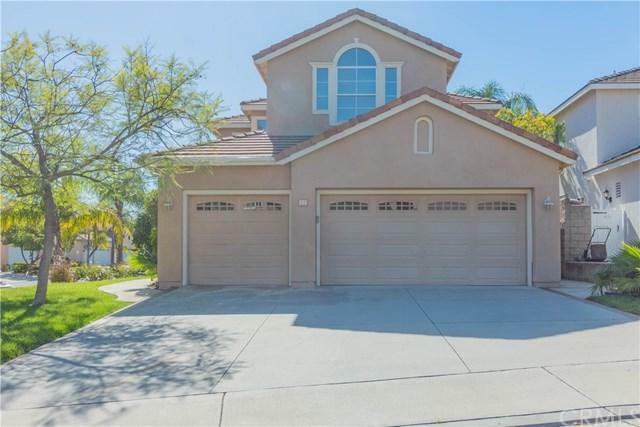 This exclusive home sits on a corner lot with ample natural light filling the living area. Spacious open concept kitchen floors into the formal living room with an open view of the backyard. One ground floor bedroom and full bathroom offers usage as an office, den, or additional bedroom. Master bedroom upstairs is complete with an ensuite bathroom with dual vanities, bath tub, and separate shower. Two secondary bedrooms, a full bathroom, and large bonus room complete the upstairs. Three-car attached garage with direct access. Washer, dryer, refrigerator included. Sold by Anthony Thai of Re/Max Prestige.